I LOVE starting my New York Fashion Week with dapper, dashing leading men. 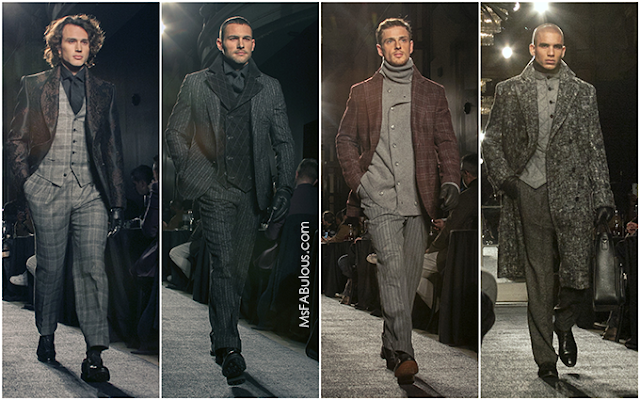 Joseph Abboud brought us back to classic Hollywood style for his fall 2018 collection. Handsome gentlemen were dressed in tailoring that brought back the elegant style of silver screen idols. Rich tweeds, herringbones, tapestry, pinstripes were displayed in a pared-down palette of charcoal grey, pale grey, burgundy, and black. Double-breasted jackets and waistcoats were given updates cuts and style lines while jacket collars framed the model's faces to flatter a perfect headshot. The bespoke, custom luxury look here comes from the brand's new studio in Bedford to present high quality, artisan American made clothing. They also partnered with a heritage shoemaker, Allen Edmonds based out of Wisconsin. The fashion show itself provided the Old Hollywood set. A lovely band played vintage hits. Guests were seated at tiny cocktail tables amid big palm fronds while they sipped champagne at the historic Wolcott Hotel. The guys shooting this show around me were just as impressed as I was in drooling over this collection. 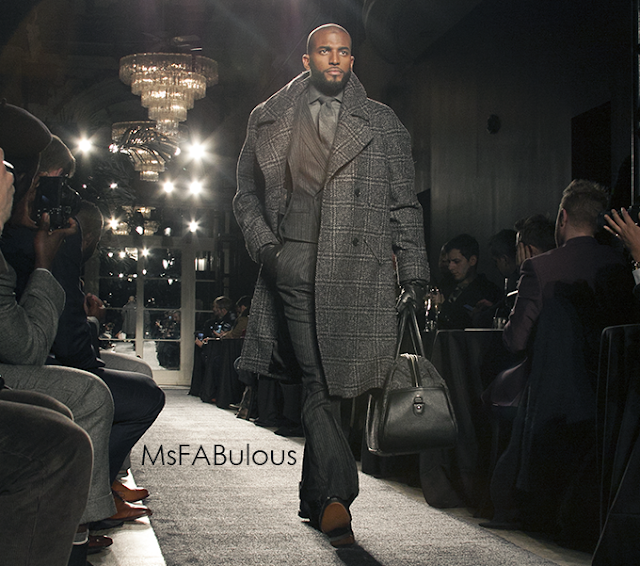 Joseph Abboud is how I fantasize my men would dress. Amid all of the streetwear that became the norm in recent seasons, it was a real treat to see this level of artisan luxury. Can't wait to (realistically, sample sale) shop this Joseph Abboud Fall 2018 collection.